There will be many instances in life where you find yourself in a financial crunch. Whether you have been financially savvy or you have been careless about your spending, financial obligations or requirements can always take you by surprise. What do you do when you are faced with a sudden cash crunch or emergency and don’t know where to turn to for the extra cash? You may be considering several options, such as taking out a payday loan, a gold loan, a loan against property, or even borrowing from family or friends. 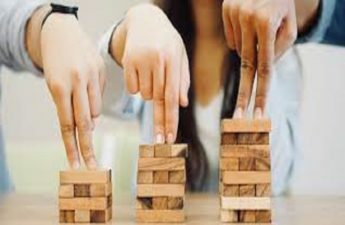 All of these have their own set of pros and cons, whether it is high interest rates, the risk of losing the collateral that you placed against the loan, or just the risk of putting your close friendships or family relationships at risk by borrowing money from them. Is there a better way to get the money you need when you need it without putting yourself through unnecessary stress? Fortunately, the answer is yes, and it lies in personal loans. Personal loans have a whole host of benefits when compared to all the other options listed above. It is a smart choice when faced with any of the various situations you might find yourself in life when you are in desperate need of money. Why are Personal Loans a Smart Choice? The major advantage of personal loans is that they do not require any collateral. While this may result in interest rates that are a bit higher, you can still have the peace of mind that your precious belongings will not be seized in case payments get defaulted. Another advantage of personal loans is that there is no restriction on how you spend the money. You can use it for anything under the sun (legally, of course!) and that is entirely up to you. You can even use it for a variety of different purposes, all using the same amount of money, without any limitations on it. This gives you greater freedom on spending the loan amount exactly the way you wish. 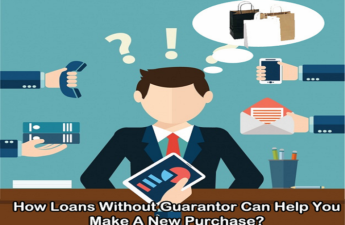 This is often cited as the number one reason people opt for a personal loan. This could be to settle a credit card payment or a personal loan to a family member or friend or even to settle an outstanding payment on another loan, such as a housing loan or a car loan or an educational loan. It also makes sense to take out a personal loan to settle the outstanding amount on a credit card because the interest rates on personal loans are far lower than that on a credit card. 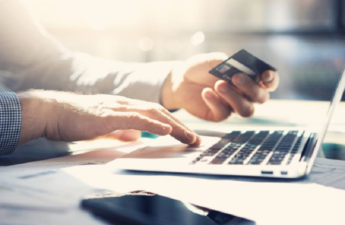 By paying off your credit card payments on time and in full, you can improve your credit score and have a higher chance of getting approved for loans in future. Whether you have a health insurance policy or not, medical emergencies can be very stressful and may require a lot of cash which you may not have in hand at the moment. The quick disbursal times for personal loans ensure that you get the money you require without adding to the stress of the medical emergency at hand. If you have been hit by the entrepreneurial bug, and are looking to finance your new enterprise, a personal loan can help you hit the ground running in no time. Business loans have stringent requirements which may be hard to meet for new entrepreneurs, such as providing tax-related documents and a proper financial history. With a personal loan, you can circumvent all that. Educational loans are often provided by banks only after admission has been secured. Also, it may not cover all the expenses. 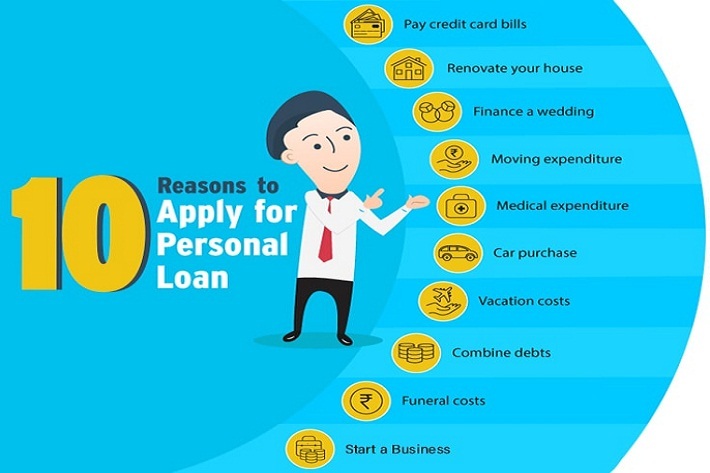 At this point, a personal loan is most convenient to ensure that you have enough money to cover all your expenses even before you have secured admission in your dream institution. Now you don’t have to put off your vacation dreams for the next couple of years just because you don’t have the money right now to pay for it. You also don’t have to charge your vacation to your credit card and run up huge bills with heavy interest rates. A personal loan can be used to fund your dream vacation right away, so you can start living your life exactly the way you want it now. Whether you are renovating your home for a wedding, festival, or just because you want a breath of fresh air in your home, a personal loan gives you the freedom to get the money you want to spend on exactly how you want to renovate your home. It doesn’t matter if it is a fresh coat of paint or new furnishings or an entirely new floor to your home or a new room. Weddings can run up a lot of expenses in India. Whether you want a low-key wedding or a destination wedding, it doesn’t come cheap. If you want to celebrate your special day in style, with just a handful of people or hundreds, a personal loan is just what you need to get started on the road to marital bliss without breaking the bank or burning a hole in your pocket. And while you’re at it, you can use a portion of the money to fund your honeymoon to an exotic destination too. So, you have been eyeing the latest iPhone or a new laptop or Xbox but don’t have the cash to buy it? No problem. A personal loan can come in handy at times like this and you don’t have to feel guilty about paying an astronomical amount on interest rates too. You can opt for a personal loan over a car loan if you don’t want to take the risk of keeping your vehicle as collateral for the loan until it is repaid in full. With a personal loan, you will have the satisfaction that your car is truly yours even if you haven’t finished paying off your loan. If you have dream of relocating across the country or even outside the country, a personal loan can help you take care of your moving expenses, whether it is paying the rental advance in the new place, buying new furniture, or moving your belongings. There are many more occasions in life where a personal loan can come in handy. Whatever be the reason, you can be sure that applying for a personal loan is something you won’t regret. Shruthi Katta is an independent financial blogger who loves to write on personal finance tips and guide. To follow her posts, you can reach her on Twitter and her personal blog Financial Updates.